PlayAmo is a nicely designed online casino founded in 2016. It’s operated by a company that’s had quite some experience and owns other gambling brands known for secure gambling and high-quality titles available to the players. As stated in the description of the casino it was designed for players by other players just like them, which means you can count on your feedback being heard and taken into account – which is quite rare. At PlayAmo everyone will find a game to their linking – whether for you it’s a brand new slot by a provider like NetEnt or Microgaming, or a fun variety of roulette or blackjack. PlayAmo makes sure to keeps its selection of games fresh and constantly growing – which is great news for everyone reading this PlayAmo casino review and wondering about its potential. 1st deposit bonus 100% up to $100 + 100 free spins for Lucky Lady Clover. The free spins are credited as 20 every day for 5 consecutive days instead of being provided in full. 2nd deposit bonus is 50% up to $200 + 50 free spins for a slot called Lucky Blue. If you would rather claim a much more generous amount straightaway, the casino has a High Roller welcome bonus. In this case you can get a 50% deposit bonus up to $2,000, but you do need to make a minimum deposit of $1,000 to be able to claim that. Monday free spins – you can get up to 100 free spins based on the amount deposited. Deposits between $20 and $40 get you 20 free spins, $50 – $100 – 50 free spins, and you get 100 free spins for deposits over $100. The wagering requirement is x50. Friday Reload – 50% bonus up to $250 +100 free spins for The Golden Owl Of Athena. These free spins are credited as 50 + 50 over a 48-hour period. The Table battle – you can win your share of 1,000 weekly if you end up among the 25 top players (by the amount bet playing table games at the casino). 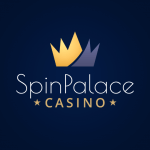 Fast Spin slot race with €750 + 1,000 free spins shared between most active players every 12 hours. VIP/loyalty program – free spins and cash prizes for reaching levels 2 through 9 and Ferrari supercar for reaching the final 10th level. You need to earn special points playing slot games. PlayAmo has an impressive list of providers that rose to international fame for high quality of the online casino games they offer. With over 2,500 games available every player has quite a painful choice of titles to choose between, as they all look equally enticing. Here are the gaming providers that can be found on PlayAmo: 1×2 Gaming, ELK, Booming Games, iSoftBet, BGAMING, Amatic, Quickspin , Endorphina, 2by2, EGT, NetEnt, Microgaming, Rabcat, Pragmatic Play, Ezugi, Playson, BetSoft Gaming, Evolution, Mr. Slotty, Habanero, Spinomenal, Yggdrasil, JFTW, Belatra, Evoplay, Play’NGo, Vivogaming, Platipus, Genesis Gaming and GameArt. All the favorite themes for online slots are here – the adventure-themed Book of Dead, Show me the Mummy, Siren’s Treasures, Temple of Nudges, the history-themed Viking Fortune and Valley Of The Gods, as well as the ever popular Lightning Roulette, Lucky Coin, Turn Your Fortune, Immortal Romance, Mount Mazuma, 4 Horsemen and Fruitbat Crazy. All slots come in crisp quality and offer a wealth of features, which means more chances to win big. 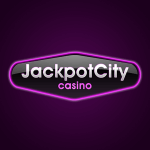 Every player will find the choice of table games at the casino to their liking – there are such classics as blackjack and roulette, as well as Casino Hold’em and keno. 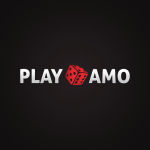 There are around 120 live games at PlayAmo – and they are easy to reach by pressing the Live tab on the main page. There are such games as roulette, blackjack, dream catcher, keno and Casino Hold’em featuring professional dealers that make your experience as real as life. PlayAmo is easily accessible on mobile – and there is no need to worry if the operation system of your device will be compatible. The thing is, there is no need to download an app to gain access to your account and all the games available. All you need to do is open the casino website in your browser on the mobile and enjoy the game. The responsible website will adapt perfectly to your screen causing no inconvenience and allowing you to enjoy the ultimate thrill of the finest slots or even live games on the go. 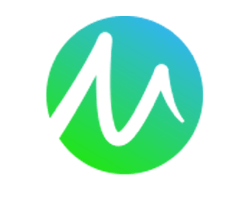 The following methods are available to PlayAmo customers wishing to make a deposit: Visa, MasterCard, Maestro, Interac online, Skrill, Trustly, iDeal, Neteller, Rapid transfer, Neosurf, Paysafecard, EcoPayz, Sofort, Zimpler, iDebit, as well as crypto currencies – Ethereum, Bitcoin Cash, Bitcoin, Litecoin, Dogecoin and Tether. There is no commission and the funds get added immediately. Withdrawals are also quick and even instant in most cases. The only exceptions are withdrawals via Visa and MasterCard (1-3 days) and bank transfer (1-5 days). PlayAmo casino is a solid gambling establishment that never disappoints. It has a simple yet efficient design, easy navigation, a great choice of games from top providers, and a nice selection of payment methods that include crypto currencies. There aren’t to many casinos out there that offer this kind of choice while keeping you totally secure – you can tell by looking at the credentials at the bottom of the page. PlayAmo gives every player the possibility of enjoying their favorite slots and casino games while being totally safe.